Mirrorless cameras can become a photography habit that’s hard to break. Consider the silent shooting options, light weight, and long list of features, and you’ll understand why pros and enthusiasts alike love to have one or more in their gear bag. But which mirrorless camera is best for you? It depends on what you shoot and the general style you prefer. Photojournalists, for example, love the unobtrusive nature of pulling out a mirrorless that focuses quickly and brings detail to their storied images. Which are the best mirrorless camera under $1,000? Read on and learn more about the best in this category and what makes them attractive. There’s no bad pick here! The Sony A7 series of cameras consistently wins consumer and reviewer accolades for quality, functionality, and features. While two generations of A7’s have followed this model, it remains easily available on the market and rarely disappoints its user. The newer models are significantly more expensive. This translates into a lot of value for the money. The A7 is extremely portable at just over a pound, and still has many of the features you come to expect in more expensive mirrorless offerings. For example, it has environmental sealing, built-in electronic SLR-style viewfinder that covers 100% of your image field, and a tiltable LCD too (but no touchscreen). Autofocusing on this model is fast and accurate with a variety of settings. It can also do panorama shooting for landscapes or city settings. And despite being a few years old in technology, it has built-in wireless connectivity to make transferring your images quick and easy. With 101 native a7 compatible lenses and new ones being added all the time, plus an array of third-party possibilities, this camera will keep you happy across your shooting styles and situations. The only negatives are the lack of image stabilization, lack of built-in flash (flash shoe instead), and a short battery life of an average of 340 shots. All that being said, this camera is the best overall time and again across many different review sites and users can’t say enough great things about it. 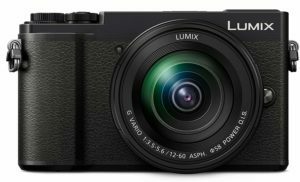 If you shoot a lot of video in street, daily or journalistic work, you’ll find this Panasonic to be an effective tool to capture clear, crisp images. Image stabilization couples with its 4K video resolution to produce semi-pro level work. The ISO range also lends itself to a variety of light conditions. This is a rangefinder mirrorless, which means you are not looking at the scene through the lens but above it. It does, however, offer 100% coverage with a tiltable viewfinder. You can also frame your shot on the selfie-friendly LCD touchscreen which makes setting adjustments quick and easy. While it does not have a built-in flash, this Panasonic is designed with a flash shoe for external attachment. It has a shorter than average battery life compared to other mirrorless cameras in this group. There is no environmental sealing. Micro Four Thirds (MFT) lenses are the most extensive and diverse offered for mirrorless cameras, with 98 native lenses and many third-party options to choose from. Many of these are very affordable, so you can build your gear kit without breaking the bank. Add those to the light body weight and you have the perfect pair for many shooting styles and preferences. This entry-level mirrorless camera gives an option to those of us who need easy flash capability with shooting power. The trade-off is a lower sensor resolution which may mean your image quality won’t be the same as more expensive models. On the other hand, if offers 4K video resolution which some pricier cameras don’t have. The big plus is the built-in flash, not usually found in cameras in this group, along with a flash shoe. Image stabilization resident in the body will improve the clarity of resulting images across the board. The super-fast shutter speed of 1/16000 of a second helps you blend in quickly – and silently. The Micro Four Thirds (MFT) lens selection is considerable, with 98 native lenses and myriad third party choices in affordable price ranges. The electronic SLR-style viewfinder has 100% coverage. You can also frame your image on the LCD screen which is both touchscreen for setting adjustments and tiltable for ease of viewing. Your 121 focus points can be selected via the LCD, too. The camera lacks environmental sealing, but that doesn’t deter serious photogs. This camera ranks highly among reviewers and users as terrific for street and daily photos. The M50 is considered an entry level mirrorless camera by many pros, but it has so much more to offer the serious enthusiast. It ranks highly in features, value and portability, without generally sacrificing image quality. The electronic viewfinder covers 100% of the scene and can be viewed internally or on the fully articulating LCD, also a touchscreen for setting adjustments. While there are only 20 native lenses for this camera, Canon makes an adapter that allows you to attach any Canon EF or EF-S lens to this camera with full functionality. That increases the universe of available lenses to about 300, even without the extensive third-party lenses available. The built in flash and flash shoe offer great options for additional lighting. This camera does not have environmental sealing or image stabilization. The autofocusing system has 143 focus points and includes Phase Detection (hard to find in others on our list), which makes the most of its 4K video resolution for subject tracking as well as objects at the edges. It also has a built-in microphone for those videos, something many cameras in this price range do not offer. While the battery life is short on this camera, it makes the most out of every shot. If your shooting style means you might be doing handheld video or photography at a wedding in the morning and stills for a rock concert that night, the M50 accommodates it all. Remember that the lenses you buy will work at a higher focal distance when mounted on this crop sensor, which gives you even greater flexibility in low light conditions. Intended as a semi-pro camera, this mirrorless body scores highly for its value and portability. The fully articulating (selfie) LCD touchscreen and internal electronic viewfinder make it easy to view and adjust your framing. A relatively fast 1/8000 per second shutter speed and good ISO range means it can cover many different shooting situations. Samsung is a recent player in the mirrorless market, and because of this, it has only 32 native lenses to date that will work on the NX mount. Third parties have not yet jumped on board. However, the NX lenses are deemed to be high-quality glass with good build construction. This camera does not have image stabilization or environmental sealing. It has an amazing 247 focus points, adjustable on that touchscreen, which gives you more focusing capability than any other on our list. That makes it our choice for those of us who want resulting images emphasizing unusual framing. Along with the AF system, what makes this camera the choice for art shots is the built-in flash plus flash shoe, and a battery life slightly above average for cameras in this group. This is a good camera for all-around shooting. Since it has a light body and good ergonomic design, it might be your new favorite for any kind of photo work. Entry-level doesn’t mean cheap quality, though at the lowest price point in our list, this Fujifilm give you lots of features for your buck. Interestingly, it has the longest battery life of any of our suggestions. It shoots 4K video too. The high-res sensor should translate into great still images. It has a narrower ISO range, limiting some work in low light conditions. To compensate, it has an amazingly fast max shutter speed of 1/32000 of a second to get the most out of the dark. The Fujifilm X lens mount has 49 native Fujifilm lenses. Nikon F lenses will also work, but only in manual mode (no autofocusing available). It does not have image stabilization or environmental sealing. The tilting touchscreen gives you both an electronic viewfinder and screen display for your framing. While the lack of autofocusing lens selection might deter some, this camera overall provides good value for the money spent (check out other $500-or-less mirrorless options). The shape and design make it easy to slip this body in your pocket for use in just about any setting. As with any camera category, you have choices about sensors, features and lens compatibility. Selecting something depends on what kind of shooting you like to do, what other gear you already own, and what your plans are for future additions. Plus, mirrorless cameras are a different breed from design to common features. The best place to begin your selection process is with your shooting preferences, because narrowing those down creates a list of preferred features. For example, if you like to shoot daily street scenes, you want something portable and discreet. Blending in to the background so you capture candid views of life equals unique images. On the other hand, if you like to shoot sports or landscapes, a Full Frame sensor brings in the action. You probably want image stabilization and weather sealing too. A broad range of lens options completes your kit. Finally, if mixing in movies with still images is your thing, finding a mirrorless camera that shoots 4K video may be vital to you. Autofocusing settings and number of points will help your videos remain crisp and clear. The ability to manage low light situations is also a plus. Like their DSLR cousins, mirrorless cameras come in a range of sensor sizes and resolutions. A Full Frame sensor is sized as a 1:1 match to what 35mm film requires. APS-C or crop sensors are smaller in size, which means the focal range of the lens you add to it now is larger by a factor of 1.6 times. The difference for APS-C sensors means you multiply the focal range in #mm times 1.6 to get the effective focal range. A Four Thirds is smaller still, with a factor of 2.0 applied (50mm effectively becomes 100mm). More on this in the lenses discussion, but recognize that there are even smaller sensors where you would need to make an even greater adjustment to learn the equivalent. The number of megapixels (MP) on the sensor controls the density of points collecting light. The greater the MP, the higher the clarity and detail in the image. Most of us won’t recognize the difference unless we’re enlarging our images into posters. A fact to remember is the storage trade-off. The more MPs the image captures, the more bytes the storage of that image will need to be. One MP is 1,000,000 pixels requiring a large number of bytes to store, and that creates a much larger file size on the card in your camera (or on your online image storage solution). Most sensors at this price point will be in the 20 to 26 MP range. The highest resolution on a DSLR is 51 MP, and only the trained eye would be able to tell the difference. Anything on our list will be more than adequate for our standard semi-pro or enthusiast shooting situations. How many lenses do you need? It always feels like the answer is just one more and shooting preferences play into this decision too. If you like to do daily or street work, you will cling to that Nifty 50 prime for a lot of what you photograph (50mm on an APS-C becomes the effective equivalent of 80mm). Landscapes and sports call for telephotos, while portrait work hits the mid-range of prime or zoom. You’ll call for a macro for lots of close up nature shots, real estate or architecture. Bottom line, you want choices. This becomes critical when you consider the interchangeable lens mounts (and all the cameras on our list are interchangeable). Mirrorless work differently from DSLR lenses, and to use those lenses on your mirrorless body, you need an adapter. The alternative is to develop a collection of lenses specifically for your mirrorless lens mount. Mirrorless cameras need either an electronic viewfinder or an external viewfinder to see the potential image. SLR-style viewfinders function as SLRs do, looking through the lens at your subject. Rangefinders do not look through the lens but over it and adjust the view to help you frame the shot. In some cases, what the mirrorless viewfinder sees is rendered as an image on an LCD screen on the back of the camera. In others, you look through a viewfinder just as you would on a DSLR. Some cameras have both. Again, this is a choice when making your selection. If you hate squinting through a viewfinder (not a favorite for many people), the LCD will be a plus. If you’re used to taking photos with a cell phone, you might find the viewfinder to be more useful. How do you like to make the adjustments to your settings as you shoot, via buttons and dials or on a touchscreen? This is another area where bodies differ. Mirrorless bodies are generally smaller than DSLRs because they don’t need the complicated mirror housing inside. Smaller bodies mean less real estate for buttons and dials. If you have larger fingers or dislike touchscreens on cameras in general, you want the opportunity to adjust settings manually. And you’ll want them to be easily accessible when you need to make changes while shooting. These two features are grouped together because they both relate to power. The photo capture uses the battery. Built-in flash uses the battery to power it too. Mirrorless cameras generally have a lower or shorter battery life than DSLRs. For example, the average battery life for a DSLR is about 880 shots. The average for mirrorless is 350. Of course, you might not care about a built-in flash, depending on what your like to photograph. As long as your camera body has a flash shoe to mount an external flash, you have lighting options. External flashes usually run on their own battery power with no impact on your camera battery life. 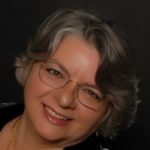 It’s easy to become confused when reviewing autofocusing (AF) capabilities because the terms and hybrids muddy waters that were already murkier than necessary. Contrast detection AF focusing fastest for moving objects or panning. Phase Detection works better for focusing at the perimeter of your framing. In reality, many of today’s systems are hybrids of these classes with a few modifications thrown in for good measure. Add Face Detection (self-explanatory) and you might think selection based on AF system is something to avoid. Two features you do want to know about are how many AF points the camera has (the more the better, if you’re shooting video in particular) and if you can adjust the points based on your shooting style. It’s impossible to cover every variance for every photog’s preference, so we’ll mention a few things you might want to check out, just in case. IS helps the camera adjust for hand shaking or quick movements to capture a shot. Some lenses also come with IS, but that’s no substitute for a body that does the work. If you like to do portrait work, close-ups or daily scenes, you’ll like having IS on board. Also known as weather sealing, this protects the camera from accidental damage from moisture or dust. If you’re prone to shooting in messy outdoors conditions, you want this sealing. For many of us, though, it is less important than other features for our typical shots. Since ISO measures the sensitivity of the sensor to light, if you like to do night work indoors or out, you want an ISO range that is as high as possible. Many cameras on our list have a standard of 25600 as the maximum ISO, great for dark conditions with some offsetting graininess in the resulting image. If the range goes down to 100, they will also work well in bright conditions. Unless you plan to play your video on big screen TVs, the standard 1920 x 1080 resolution will usually meet your needs. This plays well on computers, mobile devices and social media. Finding higher 4K resolution on recent models is the trend these days with only minor additions in cost. If most of what you shoot is handheld, you want the lightest camera possible to make it easy on yourself. You’ll be adding the lens to the weight. 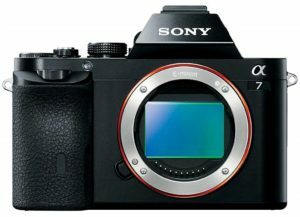 Sony Alpha A7 Best Overall 1.05 lbs. Panasonic Lumix DMC-GX9 Best for Video .90 lbs. Olympus OM-D E-M10 III Best for Flash Work .90 lbs. 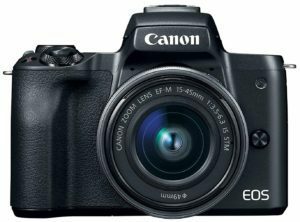 Canon EOS M50 Best for All Purpose .86 lbs. Samsung NX30 Best for Artful Focusing .83 lbs. 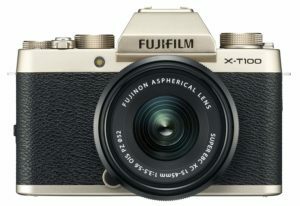 Fujifilm X-T100 Best for the Budget .99 lbs. What sensor size is best in a mirrorless camera? Are native lenses better than third party choices? Are mirrorless cameras good for portrait work? What features are important if I shoot sports? What should I look for if I generally shoot landscapes or nature? What’s special about mirrorless cameras and photojournalism? What isn’t great about mirrorless cameras? While we’ve covered many fun facts about mirrorless cameras in our advice on selecting one, there are still questions to cover. Here’s our recap of the common questions about mirrorless camera selection under the $1,000 price point. It’s less about sensor size and more about understanding what it means for your effective focal length, framing, and good photographic technique. A Four Thirds sensor will make a 50mm focal length lens act like a 100mm because it is half the size of a Full Frame. Four Thirds cameras also require a special class of wider lenses to capture enough light to make an image. On the other hand, a 50mm lens on an APS-C sensor camera acts like an 80mm (50 x 1.6), and the focal range ends on a zoom must be similarly adjusted. Don’t be confused by this other than to be aware of it if you like to shoot at the fringes of a lens’s capabilities. You are just as likely to create amazing images like the professional camera users, and win awards with a smaller sensor as a large one. While the cameras on our list are all mirrorless interchangeable lens cameras (MILC), not all are. At the price point between $500 and $1,000, you are most likely to see MILCs. You are paying for the flexibility to extend or bring your subject close through the magic of lenses. Are native lenses better than third-party choices? There was a time when the only reason a serious photographer would buy a third-party lens was if they could not afford the native version – or the desired focal length and aperture wasn’t available as a native. The reasons were quality of construction and materials making the resulting image quality poor. Happily, those days are behind us now. You will still want to vet your selection through reviews, but for the most part, you get what you pay for. The one assurance you must have is that the adapter for the third-party lens will function with the autofocusing system in your camera body. Mirrorless cameras are great for portraiture, particularly candids, because they are quiet. Weddings are a location where their silence is a true benefit, but they also work well for formal studio or outdoors work too. Being light in weight, they make it easy to move around your subject, framing images from various angles. A note on the silence, though – in response to users who want the reassuring click of a DSLR shutter release, many mirrorless bodies have added a mimicry of the sound. Press the shutter button and the click lets you know the shot is taken. In most cases, this is a setting you can turn it off if it annoys you. Lightweight wins here too, along with autofocusing speed and interchangeable lenses (lots of zooms and telephoto options). Pay attention to the AF system to make sure it can keep up with your active subject. This is also great for wildlife on the move and photos of the kids in motion. If you’re shooting outdoor expanses, the AF is less important than things like environmental sealing against wet and dusty conditions. IS is less of a worry because you’ll probably have the camera stabilized on a tripod or handy rock. You want something that functions well at the low end of the ISO range to compensate for bright light. Nature is close-ups too, and here the versatility of a good mid-range mirrorless shines. While the big spaces benefit from a bigger sensor, the crop sensors don’t disappoint in those situations and also give you a great image when your subject is the insect on a flower (with the right lens, of course). Best of all, the size of the camera won’t make it a burden to tote to those wild (or backyard) places. Photojournalists love their mirrorless cameras because they allow them to be that fly on the wall capturing the unique shots. You don’t want to interrupt a scene with noise or work with limitations to accommodate what the camera can do. Being able to stay in the background to get the real story is something journalists love. That’s not to say that DSLRs don’t have a role to play too. At the pro level, many photojournalists have both. The mirrorless will be around most of the time, even if it isn’t the prime player in a particular tableau. Keep in mind that mirrorless cameras have their own class of lenses. What you already own may or may not work with a mirrorless. However, if you keep your eye out for lenses that can work on your DSLR body where the manufacturer also offers a verified (proven) adapter for a mirrorless, you can enjoy the best of both worlds. Probably the biggest complaint heard is from photographers who buy a mirrorless as an addition to their DSLR collection and find it becoming their go-to camera of choice. The light weight, depth of features and ease of use can spoil you. Beware, because you might become the next mirrorless devotee with that camera in your pocket all the time. You trade cost for features on mirrorless cameras. The more you want the body to do, the higher you can expect the price point to be. You can find a great choice, depending on how and what you like to photograph. Note that in our text comments on each model, we will tell you if there are newer generations of the same camera. Those newer models are not included because they exceed the $1,000 cap for this list. We’ll point out differences in features if appropriate. Sony Alpha A7 Best Overall Full Frame 24 MP 100-25600 Sony E 1920 x 1080 1.05 lbs. Panasonic Lumix DMC-GX9 Best for Video Four Thirds 20 MP 200-25600 Micro Four Thirds 4K .90 lbs. 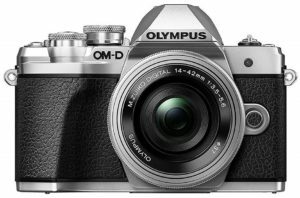 Olympus OM-D E-M10 III Best for Flash Work Four Thirds 16 MP 200-25600 Micro Four Thirds 4K .90 lbs. Canon EOS M50 Best for All Purpose APS-C 24 MP 100-25600 Canon EF-M 4K .86 lbs. 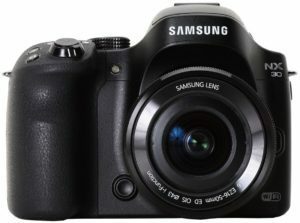 Samsung NX30 Best for Artful Focusing APS-C 20 MP 100-25600 Samsung NX 1920 x 1080 .83 lbs. Fujifilm X-T100 Best for the Budget APS-C 24 MP 200-12800 Fujifilm X 4K .99 lbs. The cameras on our list range from Full Frame (the largest sensor at 35mm size) to Four Thirds (half the size of Full Frame), with crop sensors (APS-C) in between. There is no best size, but generally, the larger the sensor, the easier it is to capture low light details. It’s important to note that the best overall model is the only Full Frame camera in the $500-1,000 price range; most are considerably more expensive. Sensors capture light on pixels, with the comparative measurement of how dense those are on the sensor described in megapixels (MP). Each MP translates into greater file size, so if you shoot in RAW as well as normal mode (RAW equals larger files too), buy an extra storage card with the body. Transfer time via Wi-Fi or other connectivity will also take longer. The high end of the range captures the image in nighttime or dark conditions, while the low end covers your bright shots. The low end is typically 100, and if the high end is 25600, you will probably cover most of your normal shooting situations. Pushing the ISO range past its ideal through setting manipulation can result in more graininess in the image. The camera manufacturer makes their own branded lenses, known as native lenses. Third-party manufacturers also make lenses that will work on your mount, typically using a universal base lens plus adapter specific for your camera. Make sure you verify that autofocusing will still work through the adapter if you pick third-party lenses. The highest resolution of video is 4K. If you plan to shoot a lot of videos and display them on larger screens (bigger than computer size), you will want 4K. For the rest of us, the standard is 1920 x 1080 (roughly half the resolution of 4K) and is more than adequate for computer displays and social media posts. If you tend to carry your camera around most of the time, such as street or daily photography or photojournalism, you will want a lighter body. Your lens weight will be added to this. Mirrorless cameras are lighter than many point-and-shoot cameras, making them great for your pocket, but sometimes, not as small in size. Great review and reasonably non-biased reports.